We want the heart–the soul of the city, they said. The true essence of what makes the place tick. Not the same old stale facts visitors get when they Google a destination, said the jefe at Destination Storytellers. "I can do that. No problem." I wanted this job. Needed this job. Couldn't imagine a better gig. Getting paid to experience a city, then share my discovery with the rest of the world! Montage music fell from the heavens. Cities around the world would welcome my narratives. Eventually, I'll add film to my repertoire and television isn't out of the question either. My new car may not be repossessed after all. Contain yourself, I thought. My enthusiasm morphed from awkward silence to a semi-unhinged laugh. I chewed my cheek and mastered a professional question. "Where do I start?" Did everyone hear the needle scratch the record? Was it just me? The only thing I knew about Vacaville, California was a place called the Nut Tree. A fuzzy image surfaced—me, baking in the back seat of Grandpa's unhurried and un-airconditioned Toyota Corolla—desperate to survive an eternity of honking tailgaters and Nana's “middle finger” waving when they passed the old guy driving safely for the sake of his precious cargo. The Nut Tree appeared like a desert oasis offering refuge. My quest began upon check-in at the Vacaville Holiday Inn. I suspected my reservation noted my assignment since the manager was extremely welcoming. In fact, the entire crew must have been privy to my work in their fair city–all smiles, eye contact, and sincere sounding “Hi, hello, how are you?” They even had the nerve to wait for my response. I played along. Rather than the typical “Fine,” I told them I had just arrived from Lake Tahoe. 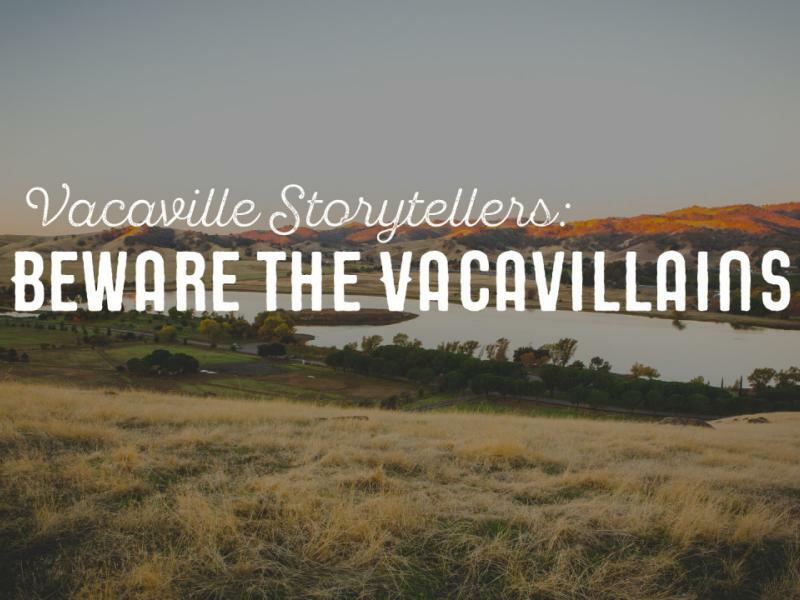 That I hadn't spent much time in Vacaville. And what did they really think of the place. Of course, they loved living here. The location was perfect. Weather was great. Big city benefits with a small town atmosphere. They seemed so genuine. Perhaps bonuses were offered for the best performance. The next morning I took to the streets determined to locate Vacaville's marrow. I parked my car in a lot about a half mile from historic downtown. Walking offered more intimacy. A diverse crowd of trees lined the sidewalks. Palms played with cedars as massive elms stood by and watched. I've hiked the Amazon in Peru, mountains in New Zealand, spent years in the Sierra Nevada, and never has such a display of flora caused me to stop so often and admire them. A decent and constant breeze kept me cool as I browsed Main Street. I can't remember the last time I actually browsed. Maybe never. I had been missing out for years. I liked browsing! No intent to purchase when shopkeepers said: "Good morning, can I help you find something." At the edge of Main, I detoured into Andrews Park. Past well manicured grassy knolls and an inviting playground, I discovered a path known as the Creekwalk. I strolled—something else I hadn't done in years but may have actually sauntered and even meandered a few times. Every jogger and dog walker waved, nodded, or said, “morning.” What the hell was going on here!? I am always the first to smile and say hey. There must be a community Facebook page I thought and someone has posted my purpose here. The old guy walking the white poodle nabbed my photo, I'm sure of it. They've shared my location! I'll never get an authentic view of Vacaville. The writing will be banal. One stale story and I'll never work again! They'll repo my car. I had to get away fast—find a familiar place where everyone is too pre-occupied to notice me. That well-known java joint was nowhere in sight. I hustled toward Town Square. A cafe' on the corner offered what they called "low-key coffee" and German pastries. I rushed the steps as a man in a feathered fedora had the nerve to step aside and hold the door for me. Corrupt fraud! The level of deception was escalating and the direction of the drift was obvious. An earthy aroma of coffee and chocolate radiated a calming effect. A guy I assumed was a UPS driver stood ahead of me at the register, struggling to choose a pastry. He propped his hand on his bony hip, smiled, and insisted I go ahead of him. His teeth and skin and buzzed hair were beyond white–they were translucent. Spooked, I quickly ordered an Americano. Then, without hesitation added an apple strudel purely to spite him. The place was packed. Invisible at last, I wandered—searching—my plate in one hand and coffee in the other. Every table was occupied. Accidental eye contact was made with an elderly woman. “Have a seat. You needn't be afraid of me,” she said with a soft Texas twang. Did I look afraid? Was I afraid of these Vacavillains? “Oh, yeah.” I rolled my eyes like I had only forgotten. UPS guy finally committed to a tart and was searching a seat. His dark brown khakis fell well above his sock-less ankles and no UPS name tags or labels decorated his lapel. He chose to dress this way! I kept my head down. Pretended not to notice him—when the old gal did it again. “Sit here.” Shouldn't she have checked with me first? I mean it was our table now. “Are you sure?” His feminine tone churned my curiosity. I pulled my notepad from the leather satchel I purchased late last night at a factory outlet store. Satchels are required in order to convert from local scribe to bona fide writer and should be worn across the body at all times. “You live here?” I asked. “Yep.” He slid a laptop from his bag and opened it like he meant business. “What was that like?” Prepared to record the trauma, I clicked open my pen. “Yes. Really. Why?” I knew he knew why. Let him think he's got game. Fine, I thought. They seemed sincere but I wasn't buying their pseudo-intellectual mumbo-jumbo about the people in Vacaville being splendiferous. Instead, I savored my strudel. The buttery crust condensed on my tongue then blended into a sweet tartness that soothed my disposition. On the recommendation of Visit Vacaville's website, I drove to Lagoon Valley Park. Hiking often clears my head and could acquaint me with the landscape minus the manipulative influence of loyal citizens. A trail carved a black line through the parched hills then disappeared into a bold skyline. The heat brought hints of wheat and dry grass. I wished I had started this hike earlier and seriously considered retreating to the hotel pool. As if on cue, my phone dinged a reminder that my car payment was due in 10 days. I concurred the first hillside and sat under the shade of a giant oak–grateful for the breeze that followed me from Main Street. With less than a half bottle of water, I wedged myself between two massive roots and yawned. A siesta seemed reasonable. 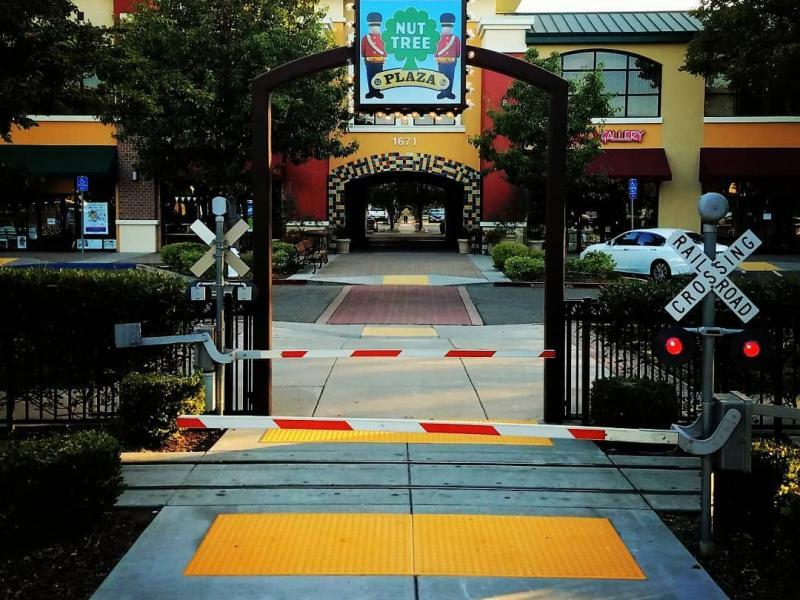 A possible way to solve the Vacaville dilemma. Problem solvers rarely visit my dreams but it was worth a try. I closed my eyes. Quickly fell somewhere between sleep and awake when it came to me. I opened my eyes. One middle-aged man, three little girls, and two black labs watched me. “Sorry to bother you.” The man said. "It's a long ways," the smallest girl chirped. "No, it's not," her taller look-alike rebuked. "Only about a half mile. The heat makes it seem longer. Take plenty of water," Dad reminded me. "No. That's okay. Really." I held my palm up to stop him, but there he was putting a cool bottle of water in my hand. “Good. There's macadamia nuts in them.” He unzipped the bag and held it in front of me. “Macadamia?” The poor guy doesn't know how expensive macadamias are. His wife will set him straight when he gets home. “You should try one. Even Emma eats them and she hates everything,” the middle girl said. My resilience vanished the instant I bit the chewy bar. Clusters of crunchiness and chunks of chocolate ripened my bliss. "They're great. Thank you so much." "See ya." The sun became a warm caress upon my shoulders as I untangled my thoughts and climbed the last hill with a slight spring in my step. A vast expanse of rolling hills enhanced with oaks of every size lie to the west. In the distant east, a vertical and horizontal urban advance bore a unique charm like the well-educated down-home folks that inhabited the area. They welcomed me at every opportunity. Challenged my comfort at being invisible. Their kindness confirmed the importance of my existence, something I hadn't realized I missed. It felt good to be the recipient of common courtesy. How had something so simple yet so important slip from me? From society? The path continued and wound through huge black rocks garnished with fluorescent orange and green lichen. Along the ridge, stacked stones fenced the grave of a "friend and brother" who has slumbered here since 1860. Eventually, the path fell into a meadow. At the far end of the meadow, the sunbaked Pena Adobe endured. Built in 1842 the historic adobe was home to several generations of Penas and makes for a fun and fact-filled history lesson offered by the president of the Solano Historical Society. The studious woman claimed ox blood was used to paint the clay floors of the adobe. Neither one of us could come to a reasonable conclusion of that fact, but it helped smooth the transition of conversation to why historic homes are always haunted. 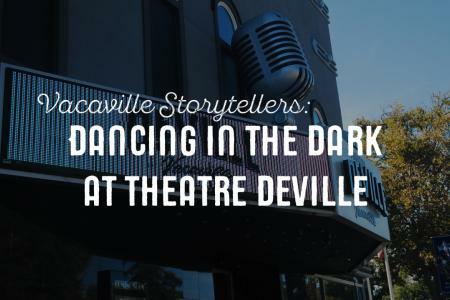 She told me about the Ghost Walk tour taking place this evening in downtown Vacaville. If I hurried I might make it. She handed me her card and would see what she could do. I thanked her and rushed out of the musty house. Jogged by an elm that took over a century to become extraordinary. Jogging is not my thing, but I was determined to get to my car, which was at the opposite end of the park, then grab a quick shower and partake in the possibilities of spirits. I broke stride, wiped my sweaty brow, and walked as my car came into view. A ragged Honda Accord sat with its hood up and a desperate looking young woman bent under it. “Need some help?” I asked as if I knew something about cars that won't start. "No. Sorry." I should carry jumper cables. I'll buy some first chance I get. "I do have AAA." Wait. What? I don't have time to sit and wait for AAA to give her a jump. What the hell? “Of course. No problem.” I had been contaminated. I exited the ghost walk website and called AAA. We waited in my air-conditioned car. Talked about her recent graduation. Her move from Napa to Vacaville. The new job at a winery in which she would be more than happy to “totally hook me up with a tour.” Another good reason to return. An inexplicable happiness lingered days later. A sense of connection deeper than the delight that fizzles out soon after departing an island paradise or mountain retreat. Home is the place you feel most accepted and my new friend Vacaville accepted and welcomed me the minute I arrived. But, beware fellow traveler, kindness is contagious here. Lisa Michelle is an award-winning writer and filmmaker who creates meaningful narratives through powerful storytelling. Developing stories with significant themes that will inspire readers and audiences to evolve is her passion. 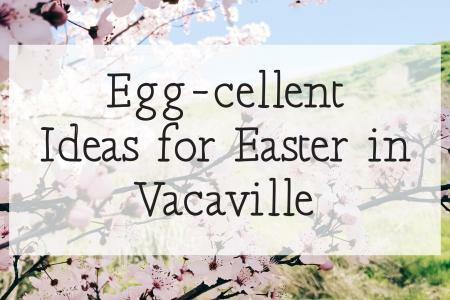 Vacaville offers a wide variety of opportunities for those who wish to showcase or appreciate all aspects of the arts. 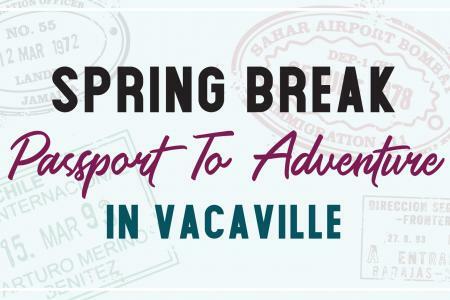 Visitors should not be surprised to discover Vacaville is home to performing arts groups such as the Vacaville Ballet Theatre Company, Solano Community Symphony and the Vacaville Concert Society. 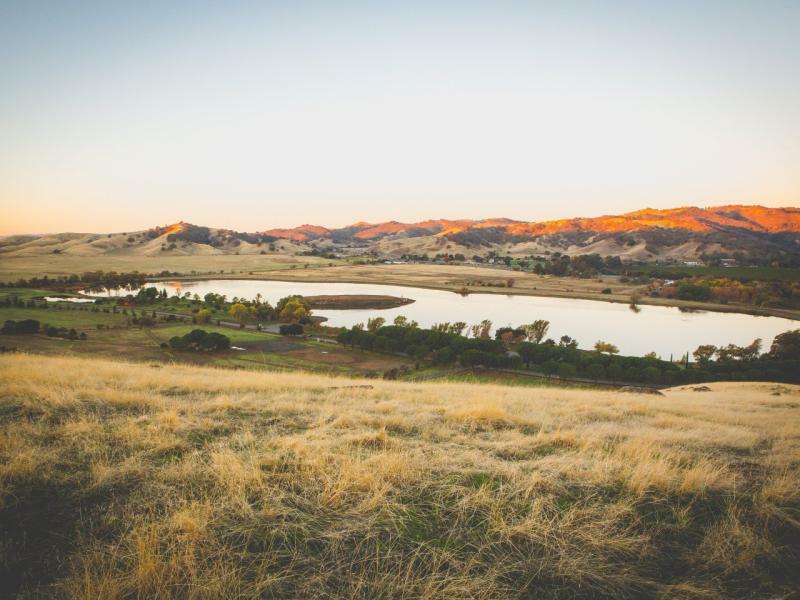 Go hiking in lovely Lagoon Valley, which offers great views of the city and beyond. 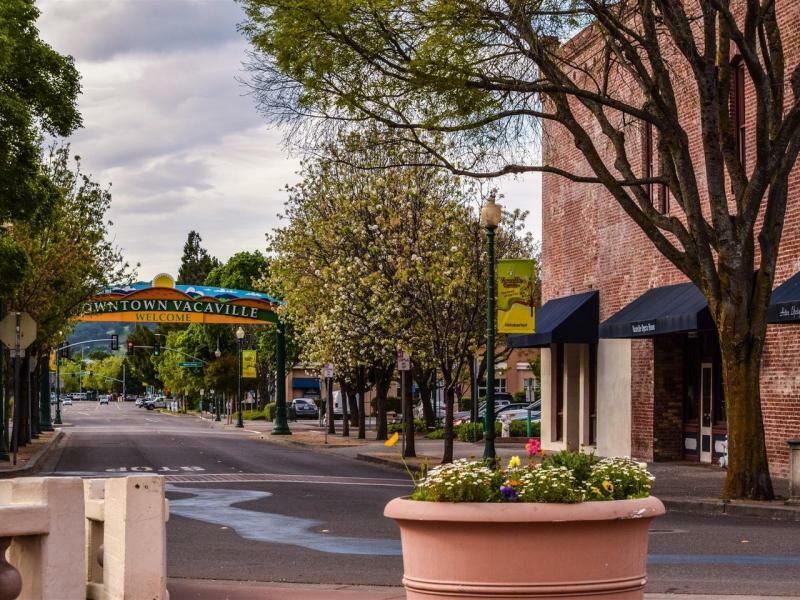 Explore historic downtown Vacaville, or find a new favorite vintage at one of the first-class vineyards and wineries of the neighboring Suisun Valley -- a short drive from Napa and Sonoma. 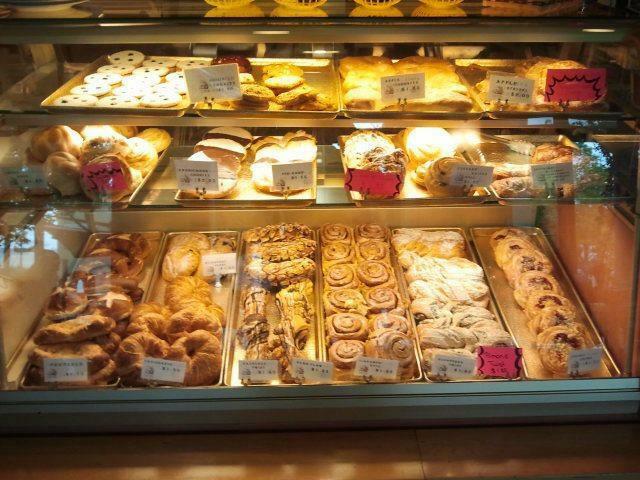 Pure Grain Bakery offers a taste of an authentic German bakery complete with breads, pastries, and sandwiches.